Wi-Fi is everywhere these days but getting access to it can often be more costly that the service you’re using itself. In this guide I’m going to show you how you can get free access to many Wi-Fi systems that want you to pay. Wi-Fi these days should really be a free service. It’s now been around an awfully long time but it seems many companies are happy to charge you an extortionate fee for what often ends up being a slow and unreliable connection. There is however a really simple way you can skip past the requirement to pay for the service and access it freely. To do this you don’t have to be a master hacker, you don’t need to break into anything, you simply need to take advantage of how the internet actually works. Below I’ll show you how. These days many Wi-Fi connections from companies wanting you to pay are open connections. You connect to the Wi-Fi without a login/password and you fill in some payment details to gain access. 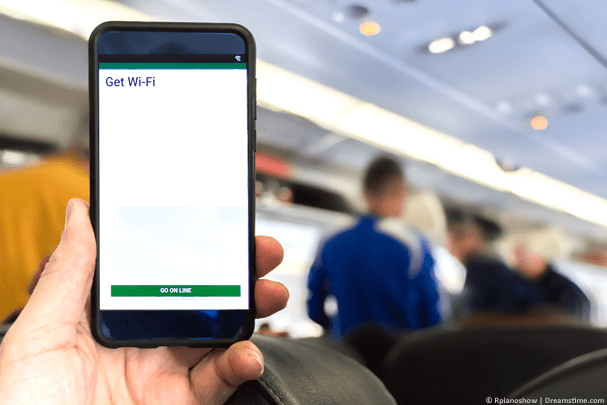 Often these services will let you connect to a free service, ie; browse their website or access services like in-train or in-flight entertainment via the Wi-Fi connection. This essentially means the Wi-Fi connection works but until you pay it only allows you to access their set websites. 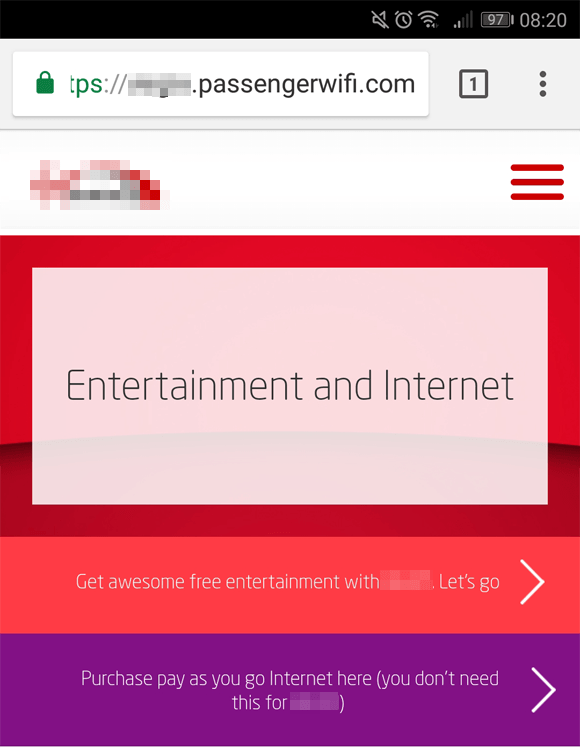 The trouble for the services is the internet doesn’t work like that and any Wi-Fi that expects you to pay but lets you access their company website via a domain name (eg; www.cheapoflightentertainment.com) is susceptible to you skipping past the payment requirement. To allow access to those company sites via their web address the service needs to use an internet service called DNS. DNS looks up web addresses from computer readable ‘IP Addresses’. For example type: 212.58.246.81 into your web browser and you’ll end up at the BBC News website (news.bbc.co.uk). It’s this and using an app called a VPN that lets you access the paid internet freely. The DNS service itself isn’t blocked which without getting too technical means you can tunnel all your internet traffic (not only the name lookup) through the DNS service. Click on one of the provider names above and sign up for their service. PrivateInternetAccess costs from only 7p per day ($0.10 /day) or £2.21 per month ($2.91 /mth). That’s less than the price of a sandwich from the buffet cart. With a low set-up time, you can be enjoying free Wi-Fi in minutes. Visit the PrivateInternetAccess website and sign up for their service. Download their app for your device from the ‘Downloads’ section of their website. Press the 3 lines ‘burger’ icon to access the menu and select Settings. Press Remote port and select 53, press OK and return to the main app screen. Select the nearest location under Current Region. Once the app has connected all of your data is now being pushed through the ‘DNS’ service of the Wi-Fi network. Open your web browser and head over to any website, for example, Google to check that it is working. Once you’ve confirmed it’s working you can access any website or use any apps like Facebook, Whatsapp, Telegram, Messenger and more. You now have free access to the internet while using the VPN. Aside from the obvious huge benefit of getting completely free internet that you would otherwise need to pay for there are additional benefits. When using Wi-Fi services on transport, for example trains and planes even if you pay for access, streaming websites are usually blocked. This means sites and apps like YouTube, Netflix and others won’t work. This makes sense because the amount of bandwidth and speed available for all passengers is small on moving vehicles. If you want to be a jackass (yes, a jackass!) and vacuum up all the available data then when connected to a VPN on these networks you will be able to access any streaming website like Netflix or others. Of course, with speeds being extremely limited you may not get decent playback. You also run the risk of disturbing everyone else’s internet access due to your overuse. Like I said, being a jackass or not is a choice for yourself. One of the biggest benefits of using a VPN when access the Wi-Fi service is it protects your privacy. Even if you actually coughed up and paid for the service a VPN is still essential. It means no one else on the same network can try and snoop on what you’re doing. It also means the Wi-Fi service itself doesn’t know what websites you’re accessing and can’t log any of your activity of what you’re doing on the internet. This article is provided for information purposes. If you gain access to free Wi-Fi or not is your responsibility. On one hand, you’re not removing any security feature such as hacking or cracking. VPN services are completely legal. You’re essentially just taking advantage of a feature that is available via regular computer networking. On the other hand, the service you’re getting for free is a paid service. You wouldn’t go to the buffet section and steal some sandwiches, so why should you steal Wi-Fi? Then again Wi-Fi isn’t a tangible item like a sandwich. Either way. I’m not a lawyer. If you carry out this action then you’re responsible for the consequences. 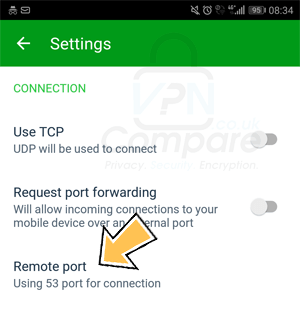 To get access to free Wi-Fi in hotels, on trains, on planes and many other locations you’ll need to get yourself a VPN app that allows you to select ports. I recommend using PrivateInternetAccess. They’ve got apps for nearly all types of devices from phones to tablets and laptops. Their app is really easy to use and suitable for this purpose. You can get PrivateInternetAccess by clicking the orange button below. Once you’ve signed up, download their app. Change the port to 53 in the settings and connect to your nearest physical location. You’ll now have access to completely free internet via Wi-Fi. Ready to get a VPN from just 7p per day? As more locations enable Wi-Fi I would love to hear where you’ve been using the internet on the move recently? Browsing the web at 30,000ft? Let me know in the comments section below.